Cedar Hills is a prestigious Dexter neighborhood, the luxury, custom homes are located on 1.5 – 3 acre lots, located just minutes from the charming downtown. There are currently 3 homes listed for sale and so far this year, 1 has sold. $998,500. 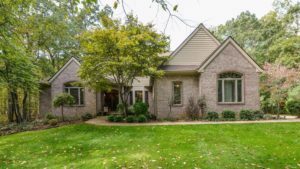 8250 Granite Ct., Dexter. 6995 sq. ft., + 1750 in finished lower level, 6 bedrooms and 5.0 baths. $549,000. 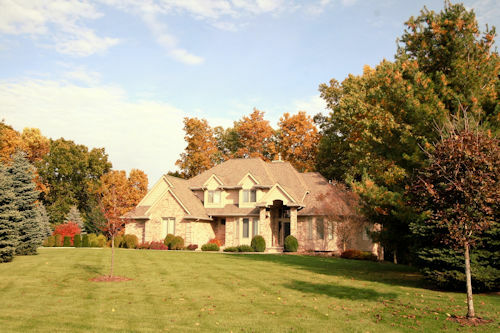 8561 Cedar Hills Dr., Dexter. 3534 sq. ft., + 1130 in finished lower level, 4 bedrooms and 4.1 baths. $527,500. 8590 Cedar Hills Dr., Dexter. 3455 sq. ft., + 1250 in finished lower level, 5 bedrooms and 3.1 baths. $564,000. 8420 Cedar Hills Dr., Dexter. 3099 square feet with 4 bedrooms and 3.1 baths. Last year at Cedar Hills, 3 homes sold with an average sale price of $526,833 with an average price per square foot of $164.00. The 1 home sold this year has a sale price of $564,000, up 7%, and a price per square foot of $181.99, up 11%. The sold home has 127 square feet less than the 3 homes sold last year in 2016. To learn more about home values at Cedar Hills, contact the real estate specialists with The Bouma Group at (734)761-3060 or email info@bouma.com. View more Dexter neighborhoods here! 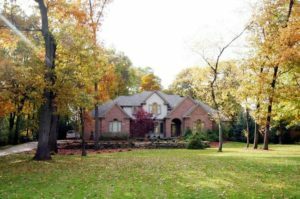 Located in a beautiful area of north east Dexter, Cedar Hills is an upscale neighborhood of custom homes. There are currently 2 homes listed for sale, and so far this year 2 homes have sold. $998,500. 8250 Granite Ct., Dexter. 6995 sq. ft., +1750 in finished lower level, 6 bedrooms and 5 baths. $529,500. 8549 Cedar Hills, Dexter. 2882 square feet with 4 bedrooms and 2.1 baths. $507,500. 8590 Cedar Hills, Dexter. 3455 sq. ft., +1281 in finished lower level, 5 bedrooms and 3.1 baths. Last year at Cedar Hills, 1 home sold with an average sale price of $470,000 and average price per square foot of $131.00. The 2 homes that have sold this year have an ASP of $540,250, up 15% and an A$SF of $159.00, up 21%. To learn more about home values at Cedar Hills, contact the Dexter Real Estate specialists with The Bouma Group at 734-761-3060 or email info@bouma.com today!